The story of the most famous female pirate in history provides a remarkable personal odyssey from a time when women were almost powerless and at the lowest level of the social order on both sides of the Atlantic. This new biographical work fills considerable gaps in Anne Bonny’s life beyond her mythology to rescue an actual person for posterity. Born in scandal in Ireland then emigrating to the American Colonies, she turned her back on the rigid South Carolina plantation lifestyle to find a sense of personal freedom, Anne Bonny sailed the Caribbean’s pristine waters during the Golden Age of Piracy in the early eighteenth century. Few accurate records exist about these law-breakers, whose lifestyles called for hanging. Fortunately, Anne Bonny was a notable exception to the rule, as she was caught off the Jamaican coast and tried by a court of law, whose records have fortunately survived. So, who was the real Anne Bonny? A heartless prostitute, a bloodthirsty psychopath, or a compassionate woman of faith and courage? Such a fundamental question has not been adequately answered by historians for 300 years. 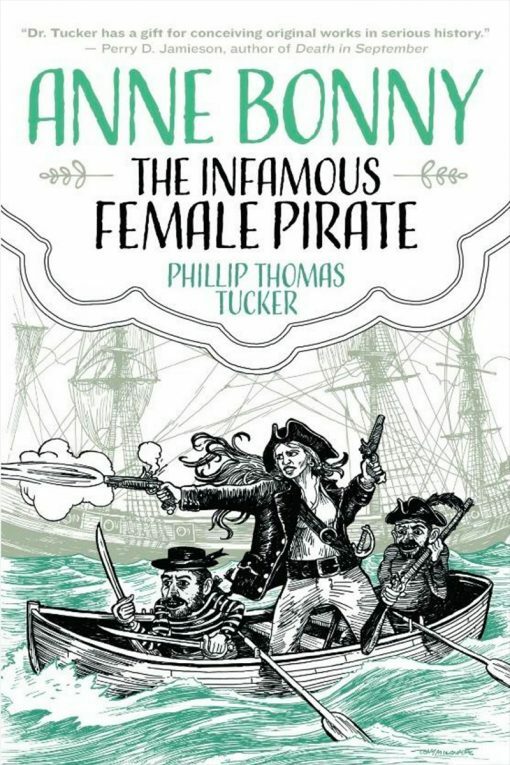 Anne Bonny: The Infamous Female Pirate takes a fresh look at the life of Anne Bonny to present a corrective view into not only her story but also the seldom explored, but incredibly rich, field of women’s history. Author Phillip Thomas Tucker, has earned acclaim and recognition as an award-winning American historian and author. Fundamentally a corrective scholar of outdated and traditional history, he has written ground-breaking books about some of the most iconic moments of American history.